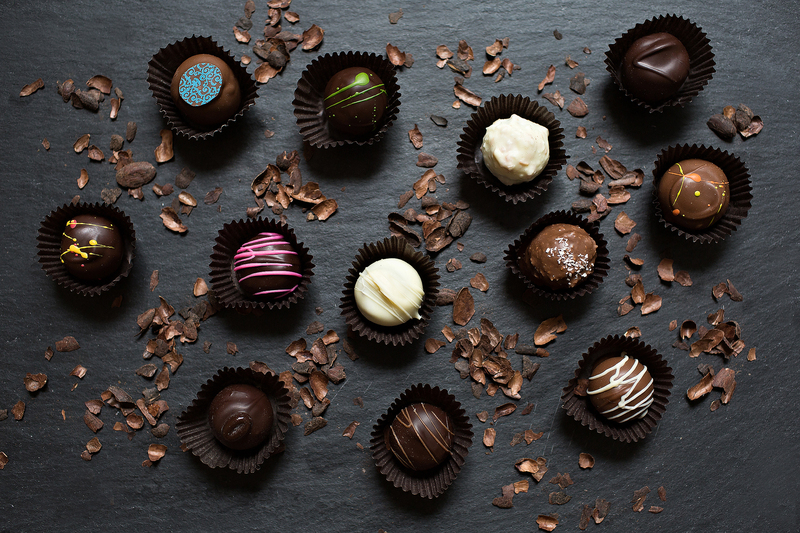 Our Truffle Assortments are the crème-de-le-crème of fine chocolates. 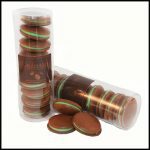 Our proprietary blend of French ganache centers are individually dipped in rich, creamy chocolate and then hand decorated. 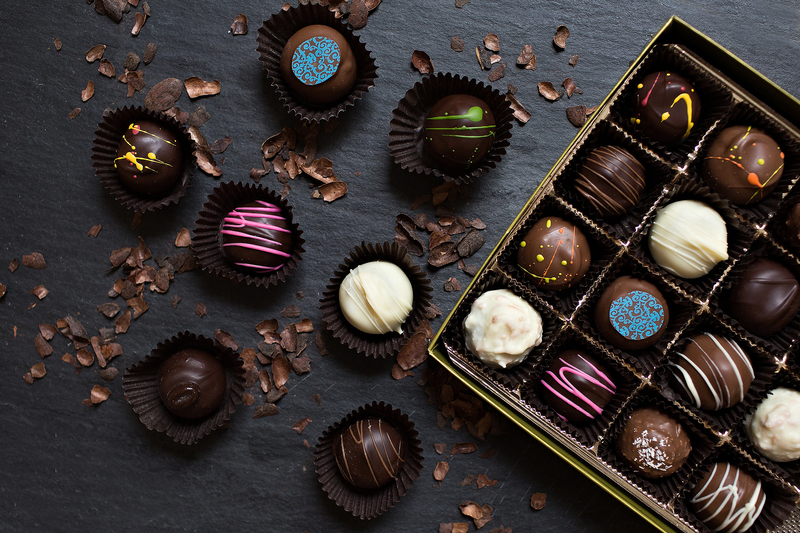 Each box may include raspberry, Tahitian vanilla, double-dark, cinnamon-espresso, milk chocolate, malt, Helen Graham, mint chocolate chip, classic peanut butter, hazelnut, and snoball truffles. 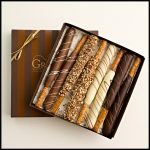 Our truffle assortments are offered in 16-piece, 25-piece & 50-piece boxes, ribboned beautifully with raffia for gift giving. 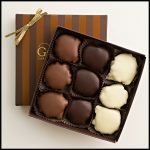 Graham’s truffles are hands down the best truffles I have ever tasted. I’ve lived in Switzerland- the world’s mecca of chocolate- and can say with confidence that nothing holds a candle to Graham’s truffles. Every penny spent at Graham’s is one of mouth watering delight! The only time I have a sweet tooth is when these amazing truffles come in the mail. I’ve never tasted anything better. 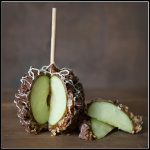 While it brings out the best in my taste buds, it doesn’t always bring out the best in me – they’re hard to share!! If you think you might have the same problem, be sure to order a bigger box. You will not regret your decision. Well done, Graham’s! Mouth-watering, indeed. 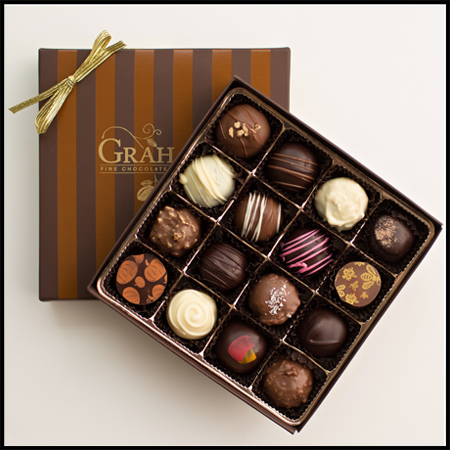 Graham’s truffles are the best I have ever tasted. I am extremely fond of the dark chocolate and white chocolate. 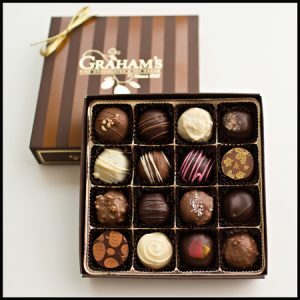 I was first introduced to Graham’s truffles when I received as a gift at Christmas. I do like that this is a family business. Thank you, Graham’s, for all the delicious goodies!